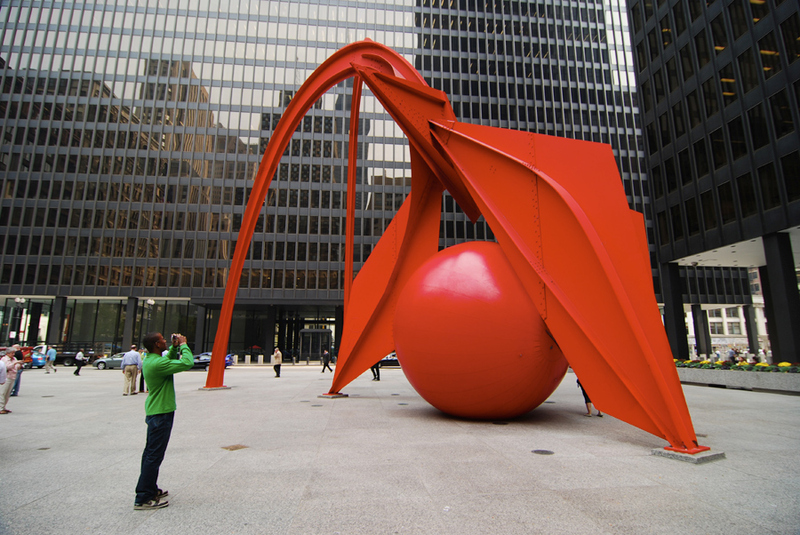 Kurt Perschke is the Artist most well known for his RedBall Project. 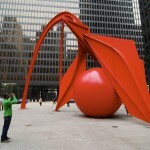 The RedBall project is a traveling public art project that has taken place around the world in places such as Barcelona, St. Louis, Portland, Sydney, Arizona, Toronto and Chicago, just to name a few. Over the last 13 years the Artist has been traveling the world placing distinct, 15 foot red balls in rather unexpected public places as part of the project. Recently Kurt has been in the news regarding disputes over Shell Oil Company using red ball images in their latest advertising campaign that are almost identical to the ones depicted in the Artist’s work. Unfortunately, this is not the first time that someone has infringed upon the work of the Artist. The Artist brought suit against another company, EdenRed a company selling prepaid services to corporations, just last year. Kurt won this legal case and when asked if he intended to press charges against the giant oil company, Kurt stated that he wasn’t sure at this time. On the Artist’s website, he states, “Through the magnetic playful and charismatic nature of the red ball the work is able to access the imagination embedded in all of us.” By his work being displayed in public places this enables him to be a catalyst for new encounters within the everyday lives of people all over the world. Kurt Perschke’s work has been featured in hundreds of art outlets including the Museum of Contemporary Arts Barcelona as well as the The Contemporary Art Museum in St. Louis. Kurt received the Americans for the Arts Public Art Network National Award. View the Artists website, RedBall Project.